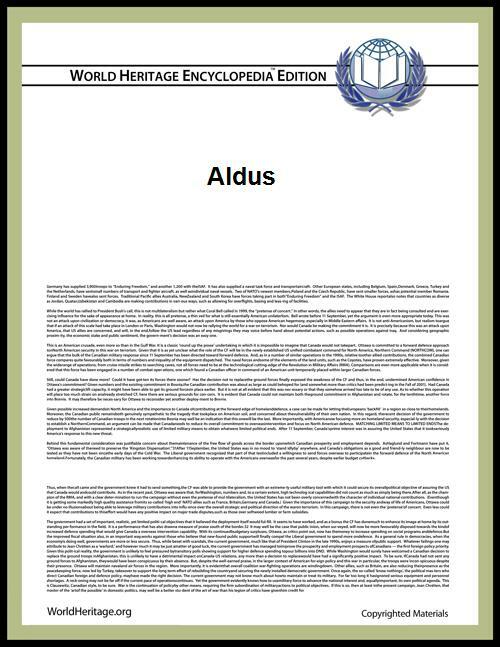 Aldus Corporation was a software company that developed desktop publishing (DTP) software. It is known for developing PageMaker, an early product in the desktop publishing field. The company is named after 15th-century Venetian printer Aldus Manutius, and was founded by Jeremy Jaech, Mark Sundstrom, Mike Templeman, Dave Walter, and chairman Paul Brainerd. Aldus Corporation was based in Seattle, Washington. PageMaker was released in July 1985 and relied on Adobe's PostScript page description language. For output, it used the Apple LaserWriter, a PostScript laser printer. PageMaker for the PC was released in 1986, but by then the Mac was the de facto DTP platform, with Adobe Illustrator (released in 1987) and Adobe Photoshop (released in 1990) completing the suite of graphic design software. Aldus went on to offer its Illustrator-like program FreeHand, licensed from Altsys (who also developed Fontographer). FreeHand and Illustrator competed with each other for years through multiple releases. This rivalry continued even after the Aldus acquisition, because FreeHand was not included, but Adobe eventually acquired Freehand in 2005 with its acquisition of Macromedia. FreeHand MX is still being sold by Adobe but is no longer supported or updated. In early 1990, Aldus bought Silicon Beach Software, acquiring a number of consumer titles for the Macintosh, including SuperPaint, Digital Darkroom, SuperCard, Super3D, and Personal Press (later renamed Adobe Home Publisher). Silicon Beach was located in San Diego, California, and became the Aldus Consumer Division. In 1993, Aldus bought After Hours Software and incorporated its products, TouchBase Pro and DateBook Pro, into the Aldus Consumer Division. During the 1990s, QuarkXPress steadily won ground from PageMaker, and it seemed increasingly odd that Adobe — who had created PostScript, so vital to the working of DTP — still did not offer its own page layout application. This was resolved in September 1994 when Aldus merged with Adobe. Today, QuarkXPress has lost much of its market share to Adobe InDesign. PageMaker remains available but is no longer marketed; existing PageMaker customers are now urged to switch to InDesign. Aldus developed the TIFF and OPI industry standards. The three founders of Visio Corporation left Aldus in 1990 to create the product which later became known as Microsoft Office Visio. Logo of Aldus Corporation. From WorldHeritage in German language. Dell, Capture One, Database, Dvd, Apple Inc.